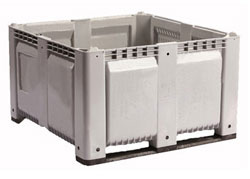 This Drain Basket Stack & Nest Container is made of high-density polyethylene, making it strong and durable, yet lightweight and easy to handle. It's vented sides and bottom are designed for accurate temperature control and is nestable and stackable if turned 90 degrees. 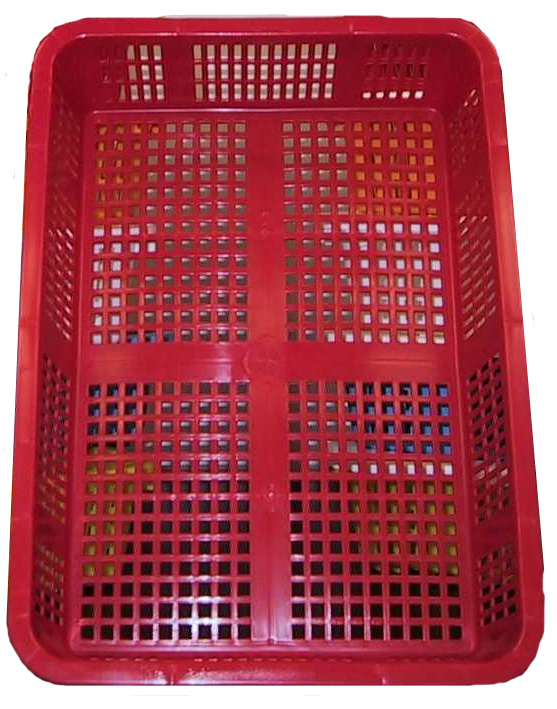 This plastic tote is available in eleven colors white, red, yellow, green, blue, grey, pumpkin, pink, purple, brown and black making it ideal for any HACCP Color Coded Program. Special tracks allow secure cross-stacking. Easy to stack with simple 90 degree rotation. Dims. (L-W-H): 18.375" x 13.5" x 3.875"
Please select the quantity for each option you wish to order and click the 'Add To Cart' button below. Outside Dimensions - 18.375" x 13.5" x 3.875"
Tare Weight - 1.1 lbs.